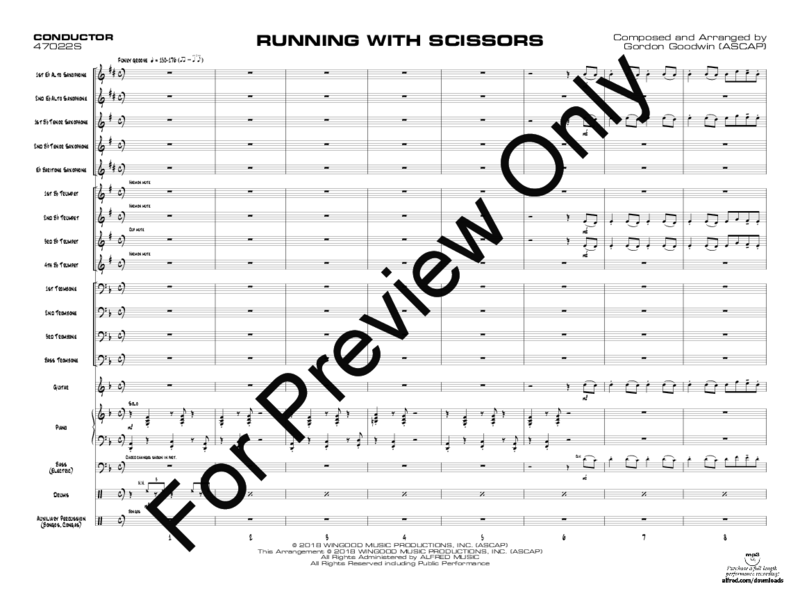 Running with Scissors is a very hip, funky groove chart played around 168 bpm. 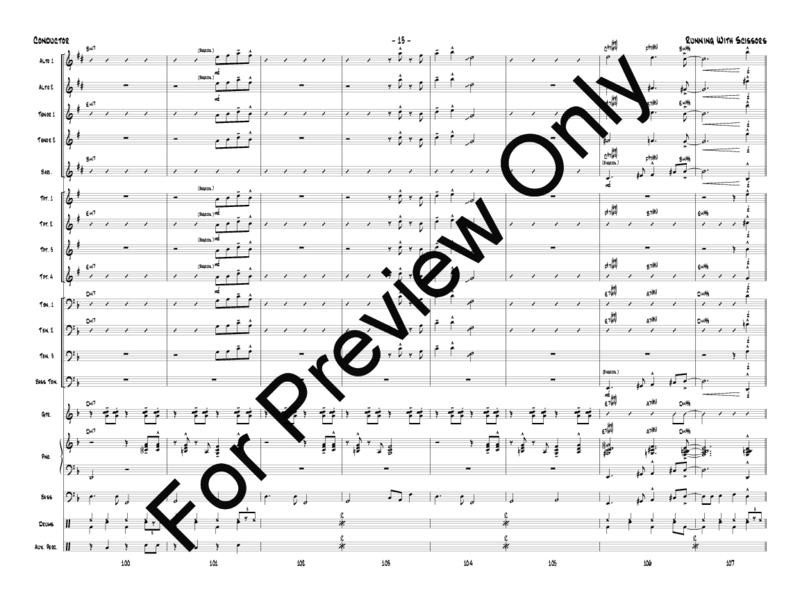 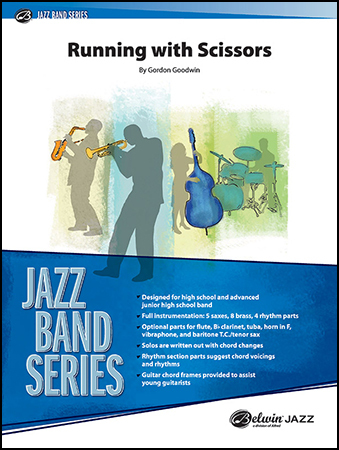 It's loaded with classic Gordon Goodwin flair, plus sample solos are provided for C instruments, E-flat alto or bari saxes, B-flat tenor, B-flat trumpet, and trombone. It begins as a nice, quiet funk groove, develops, and has great textural variation between the rhythm section and horns. The lead trumpet range is to written high C with an optional D. Included is an auxiliary percussion part and optional parts for flute and vibes. More accessible than many Gordon Goodwin charts, your band and its audiences will totally enjoy this one. Highly recommended!